Kerala.com Travel Division is approved as an Inbound Tour Operator by the Ministry of Tourism, Govt of India and the Department of Tourism, Government of Kerala. We can provide you the best Houseboat Packages, Tour Packages, Honeymoon Packages, Resorts / Hotels, Homestays etc. 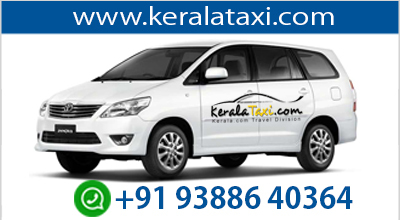 Unravel the great pleasures of travelling across Kerala and India - without any hassle, without any worry. Kerala.com Travel Division of Worldviewer Dot Com (India) Pvt Ltd, is one of the selected tour operators accredited by Ministry of Tourism, Government of India and Department of Kerala Tourism after going through the accreditation process. The Approval is given to a Tour Operator to encourage quality, standard and service in the area of Tour Operation so as to promote tourism in Kerala and India. We provide tour packages to places all over Kerala as well as India. Definite reservations at fine inexpensive Hotels, Resorts, Houseboats, Homestays and Farm Houses. Earlier used as a means of transporting cargoes of rice, spices, logs and others, Kettuvallams are now the major tourist catchers. These cargo boats, now modified into houseboats are what are now used to cruise the backwaters. The tourists are taken around in these boats and it also has the options of day cruise or night cruise (which includes the night stay in the boat). Along with enjoying the tropical surroundings one can also enjoy mouth-watering Keralite delicacies.